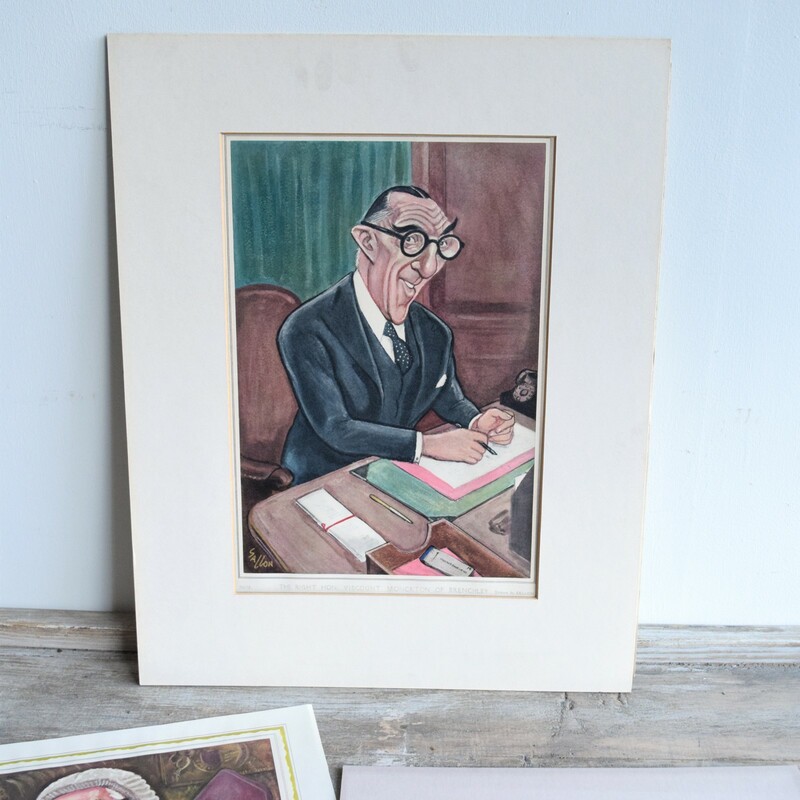 We have a collection of these 16 vintage legal prints all featuring caricatures of British judges. Ralph David Sallon was a well-known caricaturist in the 1930s onwards and his work appeared in Tatler, the Observer and The Daily Mail amongst others. There are 16 available, a few of which are duplicates. Please contact us for more information.